It’s been a busy year for me with training and racing! At the start of the year I decided to raise money for DKMS (the Delete Blood Cancer charity), after we sadly lost a very good family friend just before Christmas 2016. I attempted one challenge per month for the whole of 2017. 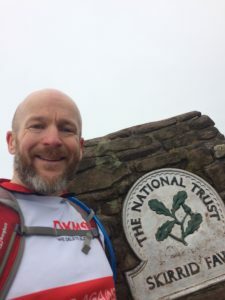 January started with a 50 mile bike ride, and other challenges included half marathons, a couple of half ironmans, sportive bike rides, ascending the height of Everest in one month (on feet and two wheels), and running the 20 mile Monmouthshire 3 Peaks. Some months were tougher than others, but I got it done. Good fun. You can still donate here. I did some really tough races this year. There was no ironman, but instead I entered one of the hardest half-ironman races there is, the Brutal in Snowdonia. 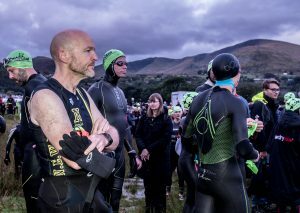 Brutal by name, brutal by nature, it started with a 1.2 mile swim in Lake Padarn––the coldest swim I’ve ever done––followed by a 60 mile 2 lap bike ride, taking in Pen-y-Pass and other tasty hills around Snowdon. And then the run. One lap of the lake, and then up and down Snowdon. Utterly brutal. Totally brilliant. I took just over 8 hours, and placed 29th out of 90 finishers. I was very pleased with that, and I enjoyed the race so much that I’ve entered the full Brutal Iron Distance for next September. This will likely see me doing at least some of the Snowdon ascent/descent in the dark. Can’t wait! In March I took on a solo circuit of the Monmouthshire Three Peaks, running as much of the route as I could. This takes in the Blorenge, Sugarloaf and Skirrid mountains, a really hard few hours but very rewarding and lots of fun. I parked at the bottom of the Skirrid, ran through Abergavenny to the base of the Blorenge, and from when I started ascending the Blorenge to when I finished I can’t have seen more than a dozen people. Glorious. May saw me racing the legendary and epic Blaenafon Triathlon. Third time at this race for me, but the first time from the new Abergavenny base. Not my best race of the year… I forgot the Saltstick tabs that I usually take on a hard hilly or long race to prevent cramps, and by the time I’d finished the hard bike ride –– up the Tumble, then up and over Llandynydr –– my legs were cramping. A run up and down the Sugarloaf mountain didn’t help. Lessons learnt here, for sure. In June I raced the Cotswolds 113 middle distance, finishing in a little under 5:30. Good race, great support from the NEWTs, I’ll be hitting the same route next year in the Cotswolds Classic. In July I took part in the Velothon for the second time, taking on my nemesis from last year, Caerphilly Mountain. With 80 miles in your legs, this is one of the hardest climbs around. Last year I ground to a halt and fell off 100m from the summit, this year I did it. Job done. I finished the ride in under 5 hours too, very pleased with that. I’m not sure I’ll do it again next year … the entry fee is a lot for riding roads I can train on anyway, but it is a really good event, and riding closed roads is always fun. I did a couple of half marathons this year, as well as a few training runs that hit the distance too. Most fun was the Broadway Half Marathon in the Cotswolds last month, proper muddy and hilly and the first time I’ve lost a shoe in mud. I found it again, eventually, but it was a soggy muddy run to the finish. Loved it! 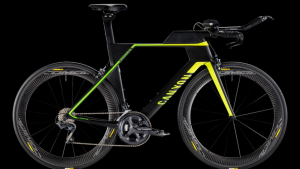 I’m enjoying triathlon and training for it as much as ever, and next year I’m not letting up. As well as my main long race, the Brutal, I’ll be racing the Grafman and Cotswolds Classic (both middle distance) as well as others, and I’m hoping I’ll have a few more adventures on the way too. And I have a new toy to help me on my way!